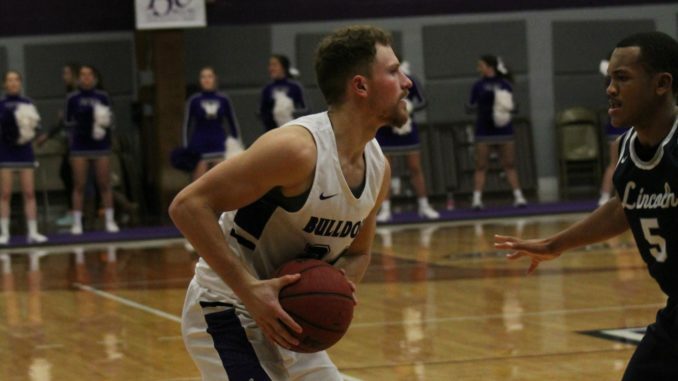 Truman State University’s men’s basketball team defeated University of Wisconsin-Parkside 89-60 Thursday night, extending their winning streak to four games. This game tied the Bulldogs with Drury University for first place in the GLVC West and second place in the GLVC overall. The top 8 teams advance to the GLVC Basketball Championships, and the men have all but guaranteed their participation. The ‘Dogs started the game by shutting the Rangers out for seven minutes and scoring 20 points uninterrupted. The Rangers promptly responded by outscoring the Bulldogs 13-3 for the next five minutes. 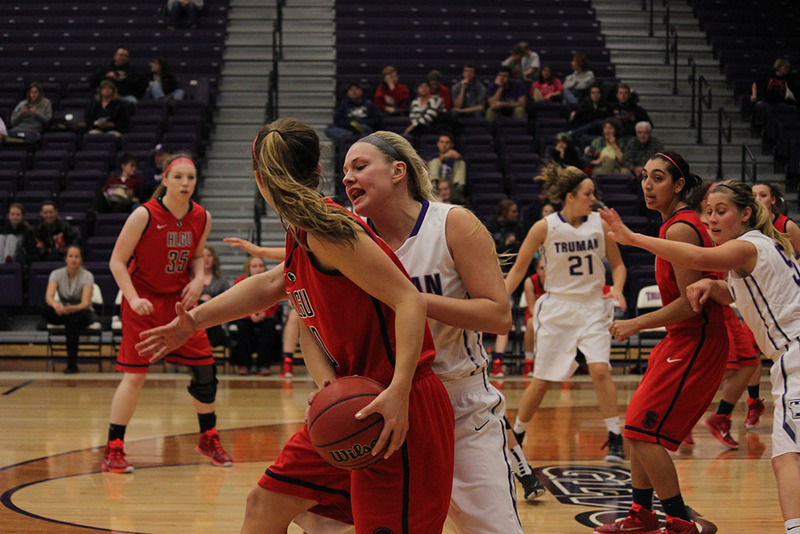 Parkside never got closer than 8 points within reach of Truman, however, and the Bulldogs came out decisively on top. Every starting Bulldog player scored double-digits in Thursday night’s game. Redshirt senior forward Zach Fischer earned a double-double for his performance, scoring 23 points for the team and 11 rebounds. Junior guard Jake Velky and redshirt sophomore guard Brodric Thomas each scored 16 points, and redshirt freshman guard Turner Scott and junior guard Nathan Messer each scored 12 points. The men host Bellarmine University at 3 p.m. Saturday.